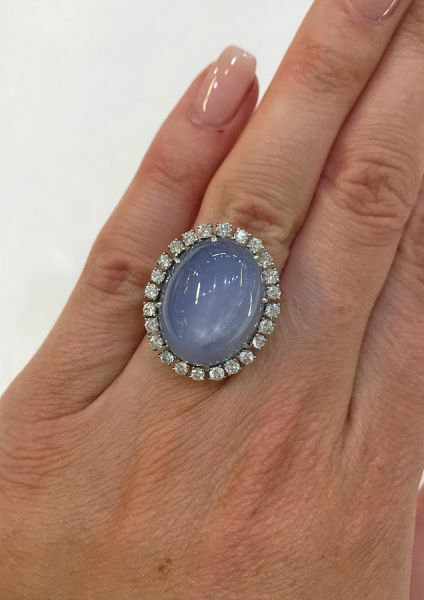 One platinum vintage star sapphire ring. One oval cabochon star sapphire with a distinct centered six ray star (35.50 carats). Twenty-four round brilliant cut diamonds (0.99 carats: VVS-VS clarity: F-G colour).